LA GORCE GOLF SUB 6342 N BAY RD MIAMI BEACH. 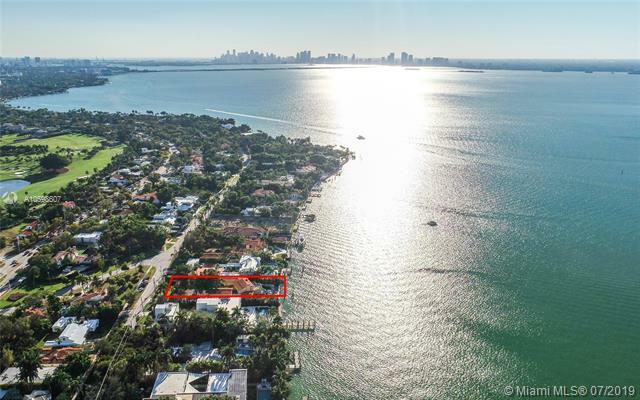 Build your dream mansion on this 24,407-sf lot with 100 feet of waterfront on the wide waters of Biscayne Bay. Seller has approved plans for a 12,000-SF home with 7 bedrooms, 9 baths, gym, office, theater, and a 3-car garage - available for sale separately. Property is located on North Bay Road - Miami Beachs most prestigious address for waterfront single-family estates, and the preferred address for many celebrities, sports stars, & business owners who enjoy boating and golf. RARE OPPORTUNITY: The brand-new mega-mansion adjacent to the North of this property is also available for sale at $29.5 Million. When you combine 6342 N Bay Rd (Asking Price $12.5M) & 6360 N Bay Rd, you can have a brand-new mega-mansion sitting on a 52,015-sf lot with 212 feet of waterfrontage. If you are interested in buying property located at 6342 N BAY RD, Miami Beach, FL 33141, call us today! - 4 bedrooms, 4 bathsroom(s). Sale price is $ 12 500 000 ($ 1 740/ft²).